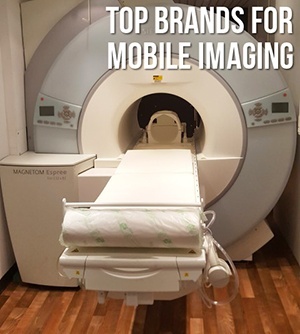 When the time comes to outfit a new unit in our mobile imaging fleet we have brand preferences for MRI and CT. It's not because equipment from other brands can't be installed in a trailer, and it's not because equipment from our preferred brands is unilaterally "better" than others. There are, however, a handful of qualities that give them an advantage in mobile settings. Below, we'll break down the reasons we prefer Siemens equipment for MRI trailers and GE equipment for CT trailers and why they mean a better experience for the imaging facilities that rent them. Siemens has always been a front-runner in MRI technology. Their sheer commitment and focus in this area makes their scanners desirable for almost any MR application, let alone mobile use. High quality is always a plus when choosing equipment to serve patients with. Siemens was the first manufacturer to bring wide-bore MRI technology to market with the 70 cm Espree in 2009. This head start has allowed mobile imaging providers more access to Siemens wide-bore scanners to accommodate the growing demand for them among users. Facilities that need to use an interim rental won't need to forego their ability to serve larger or claustrophobic patients. Because of Siemens' expansive presence in the MRI field, there are many qualified field personnel who can resolve any potential service issues quickly. This means maximum uptime for renters. In the CT market, GE enjoys a nearly ubiquitous presence. 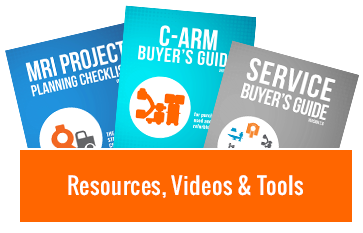 This means access to qualified service personnel and parts for their systems is unrivaled. This easy access keeps both more affordable. On top of access to service and parts, GE offers easy access to service keys for their CT systems. Together, these aspects of the GE CT experience enable mobile providers to maximize uptime for their renters. Another benefit of GE CT's enormous presence is the familiarity most techs have with their software platform. When a facility rents a mobile trailer with a GE CT scanner in it, there is little to no learning curve for the staff that will be operating it. Whether or not your final decision is to rent a system from Block Mobile Imaging, you'll be well served by choosing Siemens mobile MRI scanners and GE mobile CT scanners. If you do choose to work with us, you can rest assured that every MRI or CT in our trailers is carefully chosen, available at competitive rates, and supported by our nationwide parts and service network. Zack Mitchell is the Vice President of Turnkey Solutions at Block Imaging. In his work, Zack seeks to make every customer interaction more than just a transaction. Outside the office, he is a husband, father, Cubbies fan, and recreational lawn mower.